President Ming Maa of Grab visited South Korea on the 11th to meet investors and partners. Grab received investments worth $148 million (168.6 billion KRW) from Naver and Mirae Asset Daewoo last month. It also received investments worth $23.4 million (26.6 billion KRW) and $71.2 million (81.0 billion KRW) from Hyundai Motor Company and SK respectively earlier this year. Samsung Electronics also made strategic partnership with Grab in February. “There are many companies that share our vision that wants to solve development and mobility problems in South-East Asia.” said President Ming Maa on why so many South Korean companies are interested in Grab. He also mentioned about partnership with South Korean investors and partners in detail. Samsung Electronics is planning to increase security and safety of Grab’s platforms and utilize Samsung Pay to improve mobile payment systems. SK and Hyundai Motor Company are planning to enhance transportation infrastructures and supply electric vehicles to every part of South-East Asia. Grab’s relationship with SK is closer than others. Currently, Grab is co-operating rental car service with SOCAR, which is a car-sharing company invested by SK. Grab Driver partners borrow cars from SOCAR. Grab is also planning to expand its business partnership with SK. “We are preparing second partnership with SK and we will announce it shortly at an appropriate time.” said Grab. Grab plays a role of a gateway for South Korean businesses to South-East Asia. There are 620 million people living in South-East Asia where transportation markets and payment markets are worth $25 billion and $500 billion respectively. Number of consumers is also increasing every day. Fact that South Korea’s car-sharing markets are bounded by regulations and policies is the reason why South Korean capitals are leaning towards foreign companies such as Grab. Companies from other countries are also focusing on Grab. SoftBank, Toyota, Uber, and Didi Chuxing invested more than $5 billion into Grab. Grab started its business in 2012 with car calling service that can call for cars, motorcycles, and taxis. Then, it expanded its business to car-sharing service and it developed carpool service and bus seat reservation service. Grab has quickly grabbed upper hands of relevant markets. Its business is currently available in 8 South-East Asian countries such as Malaysia, Singapore, Indonesia, and Philippines and 235 cities. It acquired Uber’s business in South-East Asia in March and established a monopolistic system. It is quickly expanding its business as it is riding this momentum. “New renaissance where innovations take place is opening up.” said President Ming Maa. “Many transportation methods are starting to use electricity for their power.” He also said that he is very interested in drones, self-driving cars, and electric vehicles and that Grab is already working with Hyundai Motor Company to establish supply system of electric vehicles in Singapore. Grab is currently doing a delivery business like Baemin from South Korea and it is currently serving its delivery business in 6 countries such as Malaysia, Indonesia, and Singapore. It has added various on-demand businesses such as parcel service and it currently serves 15 businesses. Grab also jumped into mobile payment market. It has become the top mobile payment provider in mobile payment industry by introducing Grab Pay. It is also working on loan and insurance businesses and it launched a FinTech platform called ‘Grab Financial’. Currently, it is developing customized insurance products that guarantee living of Grab drivers. Grab is also looking for promising startup companies as it looks for next-generation tech companies to accelerate innovation and digitalization in South-East Asia. 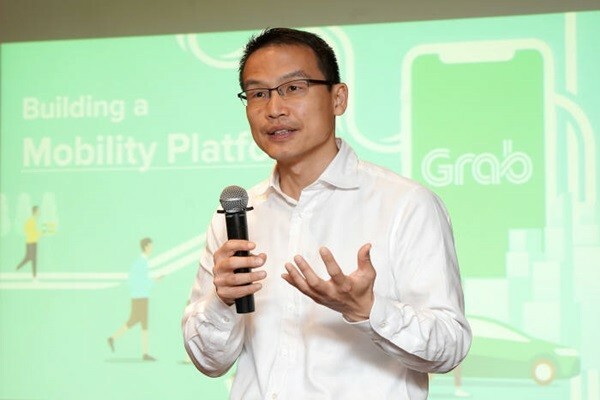 It established a separate group called Grab Ventures that recently introduced ‘Grab Platform’, which is an open platform that helps anyone with looking for business opportunities. Grab made $1 billion in sales in 2017. Number of uses of Grab Driver surpassed 2 billion in April of this year. It has become the third biggest car-sharing company followed by Uber and Didi Chuxing. Currently, Grab has about 8 million partners and it is hoping to have more than 100 million partners by 2020.